This summer I've noticed an abundance of butterflies everywhere I go, and they seem to be drawn to me. As much as I'd like to imagine they're following me around like Snow White's forest creatures, I'm no princess (and if I could be a princess, it would be Merida, not Snow White). To tell the truth, I'm not sure if they like me or hate me and are trying to attack! On a recent golf outing, a monarch continually circled my head while I was teeing off, and a small yellow butterfly landed on my skirt and clung on for dear life, hitching a ride for a few hundred yards in the golf cart. Do butterflies poop? Maybe it was pooping on me... 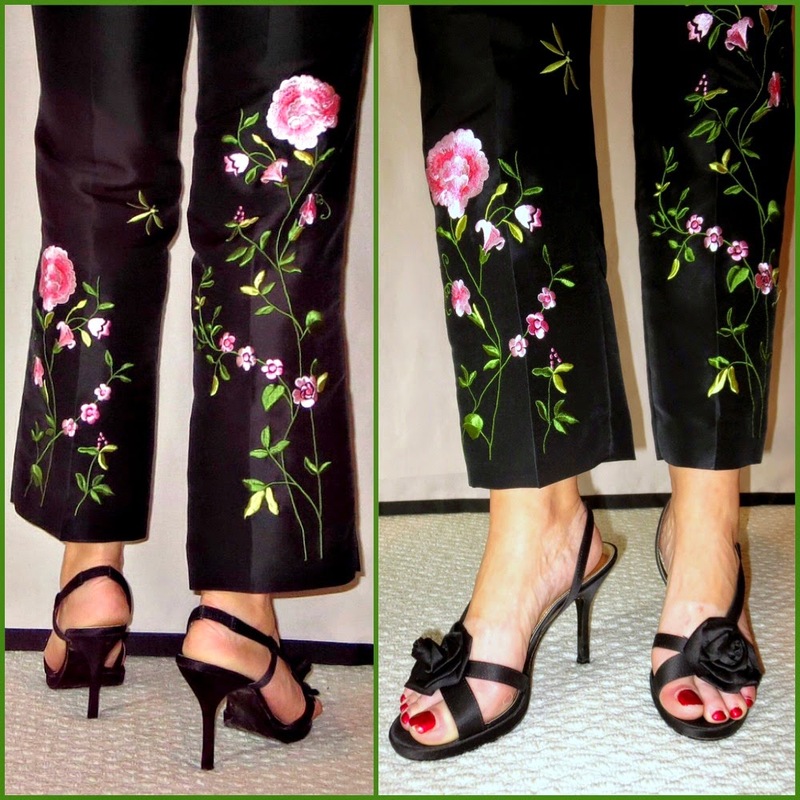 Regardless, its delicate, colorful wings perched on my thigh reminded me of these embroidered silk shantung capris from Ann Taylor. I've had them since 2001, but they've been cocooned at the back of my closet and I haven't worn them for a couple of years. Oh my goodness! I love it. I'm sure those butterflies are attracted by your naturally colorful personality, Jody!